When I got to know what I am about to tell you, I was blown away by surprise. However, it will be surprising only if you own Ledger Nano S and use EtherDelta, just like I am. I just found out that Ledger Nano S is supported on EtherDelta! I am really happy to know this because there are only a few exchanges that support hardware wallets. I know most of you would be thinking what is so great about EtherDelta supporting Ledger Nano S. That is my exact motive for this article, to explain why it is so great. Read on. What Does It Mean for EtherDelta Security? EtherDelta, as most of you know, is a decentralized exchange for Ethereum tokens and despite being decentralized, it was compromised recently. In the hack, 308-ETH including hundreds & thousands of tokens were lost. It happened mainly because it wasn’t sufficiently decentralized. I am specifying this only for record purposes because it goes in line with today’s discussion topic. Dear users, we have reason to believe that there had been malicious attacks that temporarily gained access to @etherdelta https://t.co/NnqU5Er4rj DNS server. We are investigating this issue right now – in the meantime please DONOT use the current site. And after this hack, many people will either stop using EtherDelta or will start cursing decentralized exchanges too. But I would like to say that all these technologies of decentralized exchanges are pretty new and have not been battle tested in real-time yet. Therefore, it is obvious that one should not take things for granted and should not leave precious crypto coins on any type of exchange. I know some of you might be thinking that I will tell you to transfer your ETH & tokens on EtherDelta whenever you want to trade but I won’t say that because I know it is a hassle to transfer tokens on EtherDelta everytime you wanna trade. And I totally agree with you if you are an avid trader of Ethereum tokens. But what if you are able to access your ETH and Ethereum tokens directly from a hardware wallet like Ledger Nano S on the EthereDelta platform! Coming back to the technique, let us see how to access your Ledger’s Ethereum funds in EtherDelta exchange directly. How To Use Ledger Nano S With EtherDelta? To use Ledger Nano S with EtherDelta you need to follow these steps so that you can access your Ledger funds on EtherDelta and trade without any worry. 1. Go to EtherDelta website from here and from the top right corner dropdown select Ledger Nano S.
2. After clicking on Ledger Nano S you will be shown these instructions to be followed on your Ledger Nano S device. 3. Connect your Ledger Nano S to your system and follow the above-given steps without missing anything. 4. After following the steps shown in step 2, you will be able to see your Ledger’s ETH balance in the top right corner. 5. Once your ETH balance is reflected in green as shown in the above image you are free to view your tokens store on the Ledger device on EtherDelta exchange. 6. Now go and select your token name form the top left corner token list. I am selecting XNN token for example because I have those tokens only at this address. 7. And once I have selected XNN tokens, my tokens will be reflected in the manner as shown in the below image. You can also see in the above image that my ETH balance and other order books and trades of other traders. And once you have reached this step, it is pretty usual for anyone who knows how to trade on Etherdelta by deposit/withdraw and trade booking etc. 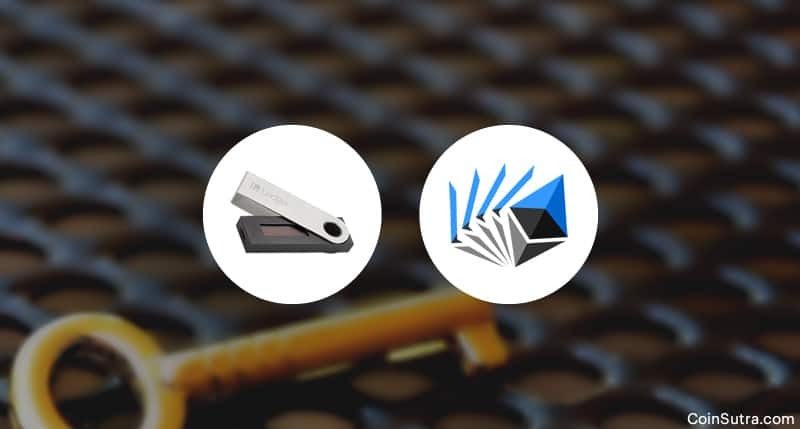 I believe this is the safest way to keep your ETH and Ethereum tokens on Ledger Nano S as well as enjoy your trading patterns with much more security all the time. The good thing is, the moment you unplug your ledger device everything will be safe inside the Ledger Nano S.
Also, when you trade using this method every transaction you make will need to be authorized manually via your Ledger Nano S so there is absolutely nothing that you should worry about while using Ledger Nano S with EtherDelta for trading. Lastly, if you don’t know you to trade on EtherDelta, don’t worry. I will be back with a new article and a video tutorial to educate you next time but for now, enjoy this write-up and share with as many friends as you can. If you like this post, please share it on Twitter and Facebook!